Clark, George Thomas. 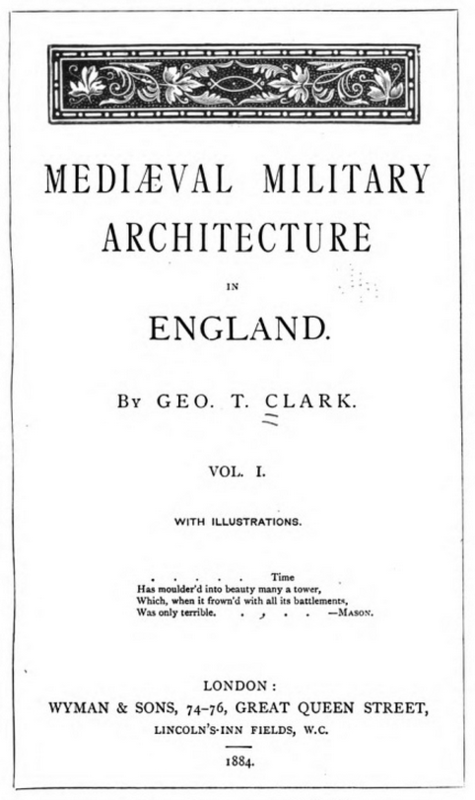 Mediaeval military architecture in England. 2 vols. London: Wyman & Sons, 1884. Provenance: Morris. — Richard Bennett. — Sotheby 1898, lot 212 (sold to Leighton for 9s.). — Unlocated. Reference: MS catalogue (2), no. 137.